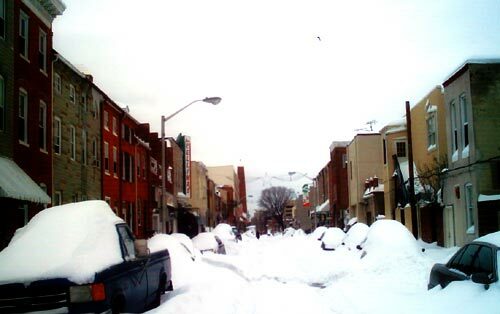 Photos of the aftermath of the Feb 2003 snowstorm, from an afternoon hiking around the harbor and downtown Baltimore. More photos and links to photos from Dean Mc-K, Amy Mc-K, Brenunda, and Mike Lee, including Coldmarble’s closeup of the B&O Railroad Museum roof collapse — a great historical loss, that one. That’s a lot of snow. I thought it was a mess here in Baltimore Highlands, but at least we have yards to shovel the snow into. Wow.